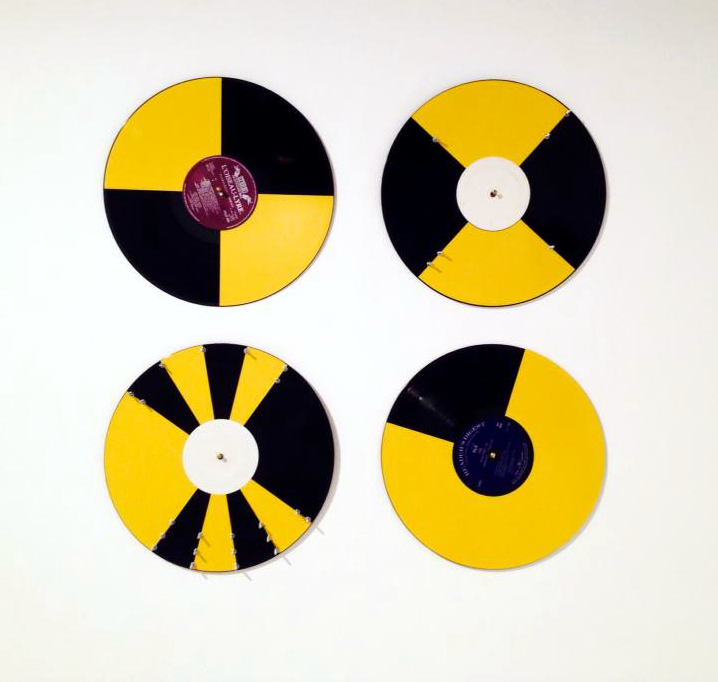 Four modified records used in a performance of Holon Music for the exhibition Symphony Of Hunger: Digesting Fluxus In Four Movements, A plus A Galler, Venice. Following the performance at the opening, the records were on show for the remainder of the exhibition. White labels were used for the trigger/peg records. Compositions with titles relating to or referencing Venice were used for the audio sampling records.